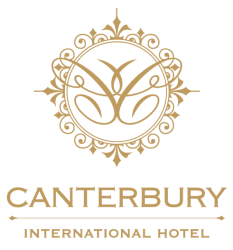 The Canterbury International Hotel offers you three beautiful and romantic settings to make your ceremony truly unique. Offering fresh white and green floral arrangements for the signing table, red carpet, seating for up to 70 guest chairs and full use of the hotel grounds for photographs. Embracing elegance and luxury, the Grand Ballroom features exquisite traditional decor throughout. Extravagant mirrors and chandeliers with a spacious balcony, the Grand Ballroom caters for up to 120 guests for either a ceremony or wedding reception. The ideal venue for year round Weddings. The Atrium boasts a modern and less formal approach for your ceremony. With an invitation of warmth and character, overlooking the Garden Terrace with large floor to ceiling windows. It is climate controlled with heating/air-conditioning and the warmth of a fireplace, perfect for a Winter Wedding. The Grand White Gazebo on the Garden Terrace offers a picturesque and shaded area for a Springtime, Summer or Autumn Wedding. Featuring an abundance of light, a cooling water feature and private balcony. The perfect venue for an intimate wedding and ceremony.